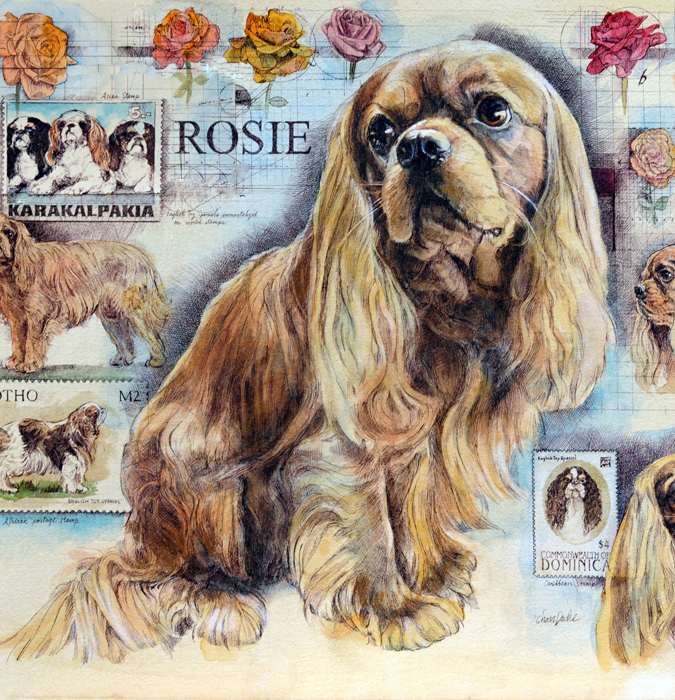 While doing research on Rosie's breed, I was delighted to see that English Toy Spaniels are depicted on postage stamps all over the world. I enjoyed incorporating some of these stamps into my art. Small toy spaniels have been beloved companions in Europe and Great Britain since the 16th century and were often attendants at court. They have been painted by many great masters, including Titian, Van Dyck and Gainsborough. Rosie is a direct descendant of the Toy Spaniels of Europe, also known as King Charles Spaniels. She is a perfect companion, both playful and gentle.